There are in fact a surprisingly large number of prizes for books written in, or translated into, English. The year 2018 saw the launch of two new literary awards – The JCB Prize for fiction and the Kamaladevi Chattopadhyay NIF Book Prize for non-fiction – in India. Coming with high cash prizes, they are a welcome addition to the country’s literary award landscape, which includes a few prestigious honours, as well as others that have lost their sheen over the years. Here is a list of literary awards that recognise English language books published in India. The Sahitya Akademi, India’s National Body of Letters, has been giving awards for the best work in English since 1960. The award has only one category, and may include a work of fiction, non-fiction or even poetry and plays, depending on the jury. It has been won by a work of fiction ( novel and stories) on twenty-five occasions, a work of non-fiction on eleven occasions, a collection of poetry on nine occasions, and a work of drama once. Past winners include RK Narayan, Mulk Raj Anand, Vikram Seth, Ram Guha and Jerry Pinto. Since 2011, the Sahitya Akademi has been awarding the Yuva Puraskar for writers under the age of 35 writing in English. Past winners include Raghu Karnad and Janice Pariat. The Sahitya Akademi Bal Puraskar is given to the best children’s book in English. The newest prize on the Indian literary scene is also its richest and most ambitious. Founded by construction behemoth JCB in 2018, the prize carries a purse of Rs 25 lakh and is given to the best work of fiction written by an Indian citizen in English or translated from any other language into English. Additionally, each shortlisted author receives Rs 1 lakh. If a work of translation wins, the translator is to get Rs 5 lakh. The prize “has a particular focus on translation, and hopes to introduce readers to many works of Indian literature written in languages other than their own.” The inaugural longlist features six established writers writing in English, two established writers writing in regional languages translated into English and two debut works of fiction, including a swashbuckling historical saga. Writer Rana Dasgupta is the literary director of the prize. The first and the richest Indian prize exclusively for non-fiction writing, the Kamaladevi Chattopadhyay NIF Book Prize will be awarded to the best non-fiction book on modern/contemporary India. The prize carries a purse of Rs 15 lakhs and is open to all genres of non-fiction (including works in translations) and to authors from all nationalities. The inaugural shortlist includes books by Aanchal Malhotra, Sujatha Gidla and Abhinav Chandrachud among others. New India Foundation fellows are not eligible for this prize. The jury is comprised of the same set of people who decide the New India Foundation fellowship. The DSC prize was instituted in 2010 to celebrate South Asian fiction. The original prize money of $50,000 has now been halved to $25,000, making it the second richest South Asian prize after the JCB Prize. Unlike the JCB prize, this one is open to entries from non-resident Indians and foreign nationals provided their works focus on South Asian themes. The prize is also open to works in translations, novellas of over 25,000 words, and, in special cases, interlinked short stories. Past winners include Shehan Karunatilaka, Jeet Thayil and Anuradha Roy. A work of translation has never won the prize. One of the most respected literary prizes in the country, this prize was founded in 2010 to commemorate twenty years of The Hindu Literary Review. Thankfully, it is open to all works of fiction, including short stories collection. This year, the prize has added a new category for non-fiction, and translations from regional languages will be accepted in both categories. Past winners include Manu Joseph, Rahul Bhattacharya, Ashok Srinivasan and Kiran Doshi. One minor drawback of this otherwise worthy prize is that news about it is usually only covered in The Hindu and its affiliates for obvious reasons. This is perhaps the only award in India that recognises industry professionals such as publishers, editors and rights managers. Unfortunately, one has to submit an application to be even considered for the shortlist. The other categories in these awards include Printed Book of the Year, Children’s Book of the Year, Book Cover of the Year, Illustrated Book of the Year and so on. The awards will be given out in 2018 even though the Publishing Next Conference for the year has been cancelled due to paucity of funds. An initiative of the Tata Literature Live festival, these awards are given in the following categories: First book (fiction), First book (non-fiction), Book of the year (fiction), Book of the Year (non-fiction) and Business Book of the year. In addition, there is an award for Lifetime Achievement in Literature and a Poet Laureate award. Past winners include Manu S Pillai, Sujit Saraf, Easterine Kire and Prayaag Akbar. In 2015, the Best Book of the Year award in the fiction category was given, rather memorably, to Karthika Nair for her poetry collection Until the Lions. The other authors on the shortlist included Salman Rushdie and Mirza Waheed. The grand dame of Indian literary awards, the Crossword awards were instituted by the retail chain Crossword as India’s answer to The (Man) Booker. The inaugural award only had one category – fiction – and was given to I Allan Sealy for Everest Hotel. Since then, the categories have slowly expanded to include works of translated fiction, non-fiction, children’s fiction, and a separate category of popular awards, decided solely on the basis of sales figures and public voting. The prize has changed sponsors several times since it was founded, suggesting that corporations don’t see much benefit in literary awards. The winners of the latest edition of the prize were not given a cash prize. In 2012, no award was announced in the children’s category because the jury felt that none of the entries was good enough for the prize. Past winners include Amitav Ghosh, Vikram Chandra, Sankar, Pankaj Mishra, and Ranjit Lal. Founded in the memory of writer and editor Shakti Bhatt, this prize is given exclusively to debut writers within the subcontinent, writing in all genres. It has gradually emerged as the best-known prize for debut books in the subcontinent. Past winners include Naresh Fernandes, Rohini Mohan, and Anuk Arudpragasam. 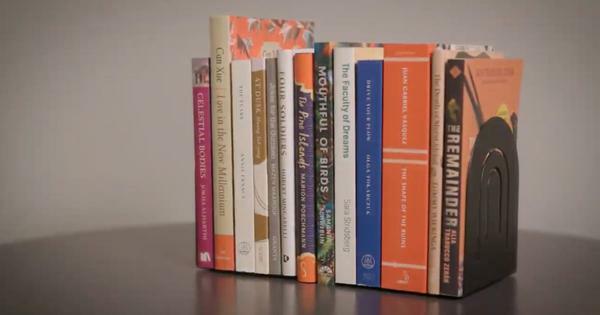 The award has never gone to a poetry collection or a work of translation, although graphic novels and short story collections have featured on the shortlist. Now in its fourth year, this prize is an initiative of Oxford Bookstore and is given for excellence in book design. It is open to books published by English and regional language publishers whose covers have been designed by Indian designers. Past winners include Bena Sareen for her sparse design for Leila’s Seth Talking of Justice and Maithili Doshi Aphale for the anthology Himalaya, coedited by Namita Gokhale and Ruskin Bond. An initiative of Bengaluru bookstore Atta Galatta and the Bangalore Literature Festival, the award is handed out in four categories: Best Fiction (English), Best Non-fiction (English), Literary Achievement Award in Kannada and Popular Choice (English). The jury chooses the winner from a shortlist prepared by others. Unlike the Shakti Bhatt First Book Prize, the identities of the people involved in choosing the longlist and the shortlist are not revealed. The prize is even open to self published works. Past winners include Ruskin Bond, Anees Salim and Twinkle Khanna. An opportunity to recognise excellence in children’s writing, these awards are given in four categories: Best Picture Book (Story), Best Picture Book (Illustration), Best Book (Fiction) and Best Book (Non-fiction). An initiative of the Valley of Words Literature festival, these awards are given out in the following categories: English fiction, English non-fiction, Hindi fiction, Hindi non-fiction, English young adult and Hindi young adult. The awards suffers from the lack of a clear mandate and focus as evident from this year’s very long and arbitrary longlists, in which shoddy mass market romance and crime novels compete against literary giants like Salman Rushdie and Amit Chaudhuri. An initiative of the Neev Literature Festival, the inaugural prizes of the Neev Children’s Literature Awards will be awarded in 2018 and include authors like Shabnam Minawalla and Lalita Iyer on their shortlists.The awards will be given in three categories: Neev Children’s Book Awards (NCBA) in Picture Books, Young Readers Books and Young Adults Books. The award recognises excellence in food writing and is also open to food anthologies and cookbooks. Self-published books can also be submitted. Founded in the memory of management guru, author and entrepreneur CK Prahalad, the award is given to the best business book of the year at the Bangalore Business Litfest. The 2018 award went to Mind Tree’s founder Subroto Bagchi for his latest book Sell: The Art, the Science, the Witchcraft. The Federation of Indian Chambers of Commerce and Industry awards prizes in six categories: Book of the Year (English), Book of the Year (Hindi), Children’s Book of the Year (English), Children’s Book of the Year (Hindi), Upcoming Author of the Year (English) and Upcoming Author of the year (Hindi). Past winners include Sujit Saraf and Himanjali Sankar. Fashioned on the UK’s prestigious Women’s Prize for Fiction, this award is a joint venture between the Apeejay Kolkata Literary Festival and The Prabha Khaitan Foundation. The award, launched in 2018, is open to all genres although the inaugural prize will only accept books originally written in English or translated into English . The inaugural longlist includes Meena Kandasamy, Sumana Roy and Janice Pariat among others. The Hyderabad based online literary journal awards two prizes: The Young Writer Award for writers under the age of thirty five and the Muse India Translation Award for an outstanding translation into English from any regional language. The award often includes joint winners and runner ups in different categories. Previous winners include Karan Mahajan, Shahnaz Bashir and Priya Sarrukai Chhabria. The only book category in the Ramnath Goenka Excellence in Journalism Awards, this award is given to works of non-fiction that “cover an issue or idea that cannot be covered fully by newspaper or television”. Past winners include Shashi Tharoor and Gary Bass. The prize made national headlines when the winner of the 2016 edition, Akshaya Mukul for his book Gita Press and the Making of Hindu India, refused to collect his trophy from Prime Minister Narendra Modi. The Padma awards include the Padma Shree, Padma Bhushan and Padma Vibushan. Given for lifetime achievement in literature, past winners include Khushwant Singh, Amitav Ghosh, and Nirmal Verma. This is an award only for book production and is given in thirteen categories: “general books, art books, textbooks for schools and colleges, children books, reference books, paperbacks, etc. in English, Hindi and regional languages...” The federation also awards a second prize and certificate of merit. This award is given to the best book on cinema and considers books from all languages. In fact, books from regional languages, in particular Malayalam, have dominated this award since 1981, the year it was founded. Past winners include Adoor Gopalakrishnan, Jerry Pinto and Anupama Chopra. Founded by the communication and population initiative, Population First, this award is given for gender sensitivity in fiction and non-fiction. Past winners include the Telugu writer Volga and Sharanya Manivanan. The MAMI film festival gives its own award to the best work of writing on cinema both in English and Hindi. Past winners include Jai Arjun Singh and the writer duo Balaji Vittal and Anirudha Bhattacharjee. These awards are given for comics and graphic novels in eight categories including Best Graphic Novel/Comic Book of the Year, Best Comic Book Cover of the Year, Best Comic Book Writer of the Year and some unusual categories such as Best Penciller Team and Best Colorist. An initiative of the French Institute of India, this prize is given to the best translation of a French book into English or any regional language. The winning author and translator are promised a trip to the Paris Book Fair. The last few years have seen the emergence of some poetry prizes in India like the RL Poetry award, Jayadev National Poetry Prize and the Kamala Das Poetry Award. While not as lucrative and influential as the Khushwant Singh Poetry Prize, which mysteriously shut down after just one edition, these prizes have attracted some media attention and book offers. Just how global is the 2019 Man Booker International Prize longlist of translated fiction?